Each is different, matches various skin types, and gives off different looks. The selling point the Nami kept with this product is the magic lock lid, so the product can be kept for next use, no spills or waste! The first one is a special formula base mixed with primer, or a 2 in 1 base and primer. Helps with evening out the skin tone, makes foundation last longer, and hides pores. 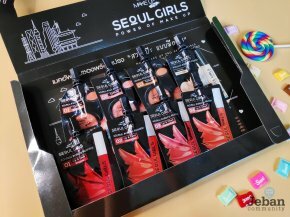 Another must have for girls aiming for the light makeup look. The pink base helps brighten your complexion. Just apply some loose powder after the base and you’re good to go. Students can even use it for sunscreen or primer before foundation to help makeup last longer. I personally like it for a light day when I want to show my clear and smooth skin with no foundation. 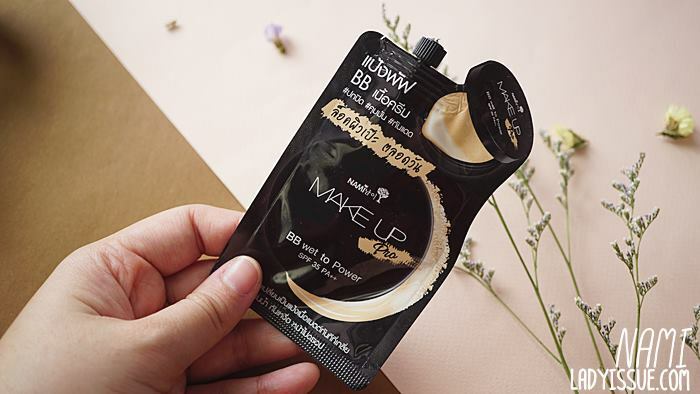 The latest innovation “BB wet to powder”. This product gives the highest coverage among the 3 in this series. The cream helps with oil-control and is easy to spread while turning into “matte powder” immediately. Its light weighted but gives full coverage! 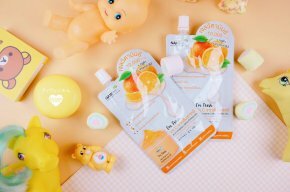 also SPF35 PA++ with mixture of vitamin C and glutathione that help nourishes the skin. 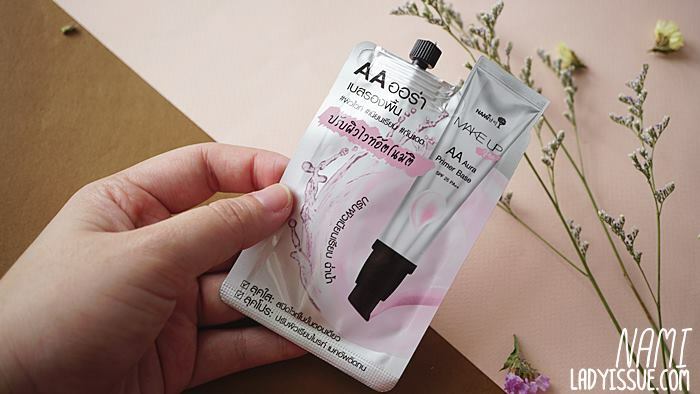 Whoever is looking for the ultimate coverage to hide every wrinkles and imperfections, or looking for a fast and easy all-in-one coverage, or anything to save you at the very last minute, just run to 7-11 and grab this product. 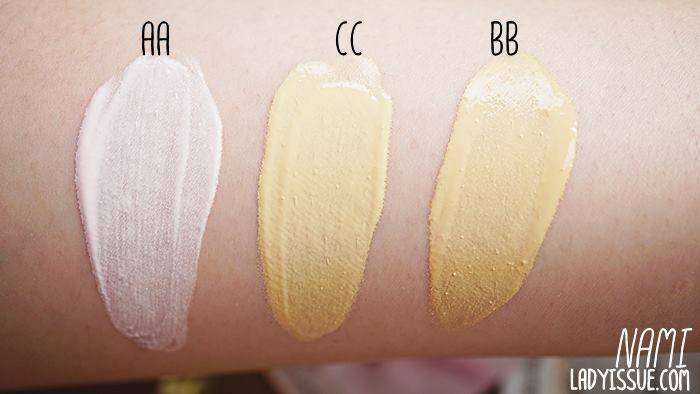 It’s a medium shade that fits well with almost every skin tone of most Thai women. Give it a try. No more puff! 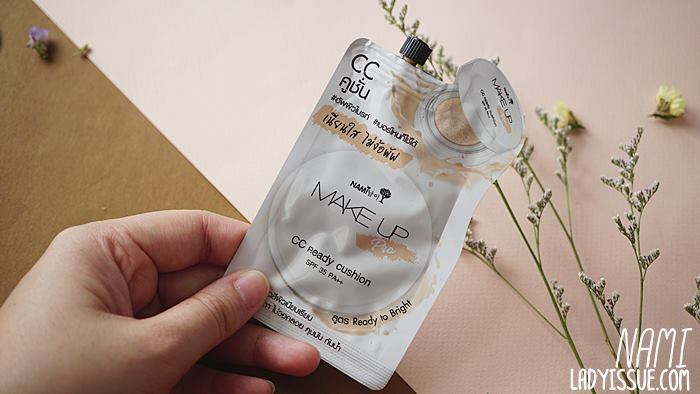 With the first sachet cushion. When talking about the concept of healthy looking skin, brightening, full coverage, and sunproof, this Nami cushion is a pretty interesting product. The undertone yellow shade fits well with Thai women skin tone. 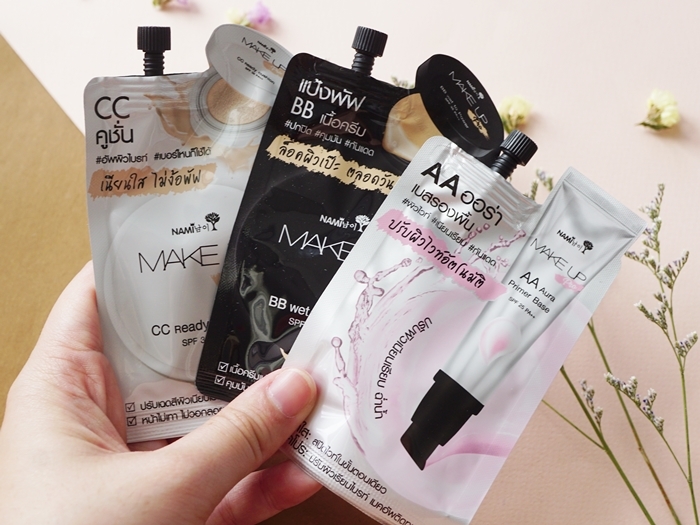 The product might come in only one shade, but it’s a shade that’s matches Thai people. I’ve tried it on my co-workers with various skin tone and it matches everyone perfectly. Just use your fingers to spread the cushion and get your smooth looking skin.